Join in the tradition of Winter Park holiday festivities as Park Avenue is transformed into a winter wonderland, complete with a tree lighting, carolers, snowmaking, and a visit from Santa. The Winter Park Chamber of Commerce has partnered with the City of Winter Park, Park Avenue Merchants Association, and Enzian Theater to kick off the holidays in Winter Park on Friday, December 1, 2017. 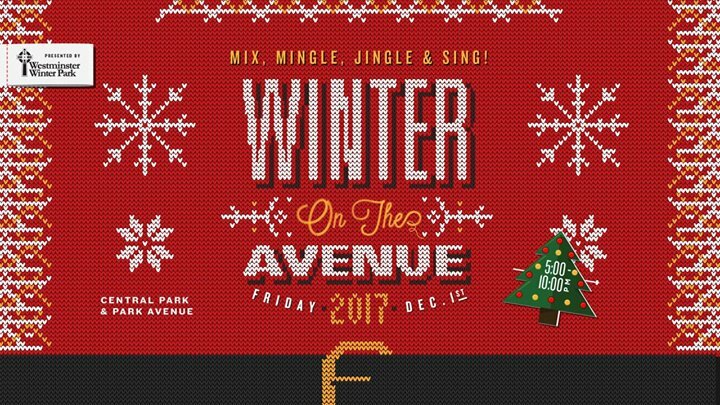 Be part of this tradition as Park Avenue is transformed into a winter wonderland for a holiday street party. Come experience the best of downtown Winter Park this holiday season! This event is free and open to the public. Park Avenue will be closed to vehicular traffic in order to transform downtown into a pedestrian plaza, beginning at 3 p.m. New England Avenue will remain open to thru traffic. What time are they turning on the tree lights? ?